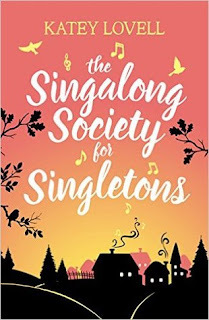 As soon as I got the email from the publisher telling me about The Singalong Society for Singletons, I knew I had to read it! If you didn't already know I do love a good musical, so to read a book with musicals as one of the topics was definitely going to be right up my alley. I was so excited to read it and wanted to get stuck in straight away. Monique (or Mon) and Issy are best friends, flatmates, teachers and also big lovers of musicals. Most of their Friday nights consist of wine, a few snacks and a dvd of a musical. When Mon's boyfriend of 10 years moves away to America and her sister Hope moves in after having problems with her partner, their Friday nights change! They soon become known as 'The Singalong Society for Singletons'. A place where they can get together, sing along to some of their favourite tracks and forget about worries which include work and love. However, when Issy invites some new faces to join the group, things start to change. What I really loved about this book was the pacing and timing of it. I liked how each chapter was set out on a Friday night and that you got the name of the musical as the chapter name. 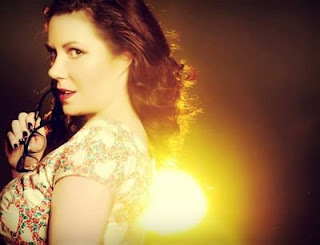 I found that to be really original and I must admit that as soon as I saw what musical it was I was singing in my head. As I am also a big lover of musicals I really enjoyed getting into each characters head and trying to work out why their favourite musical was what it was. At times it was obvious but at other times it was less so. It was also so realistic as I could most certainly imagine a group of women doing what the characters in the book were doing in the real world. Despite being about musicals, there were also other themes mentioned that I thought were just as important. Themes such as love, friendship, work and long distance relationship. I really enjoyed the friendship element, I just loved reading about the closeness that Mon, Issy, Hope and Connie have and that no matter what you could tell they were always going to be there for each other. It was also quite heartbreaking to go into Mon's inner monologue about her worries about her long distance 'relationship'. It was written in such a way that you could sympathise with her and just wanted to make things better for you. If I was going to say anything negative about this book it would be that I found some of the romances that blossomed to be quite rushed. Especially with regards to Issy. Don't get me wrong, I enjoyed reading it, but in some ways it seemed a bit flustered. I throughly enjoyed The Singalong Society for Singletons and found it to be a breath of fresh air. Katey Lovell managed to turn a story that is set in just one living room into something unique, original and outstanding. It's certainly a book that I will be remembering. Katey Lovell writes contemporary romantic fiction and dreams of living in a cosy cottage by the sea. 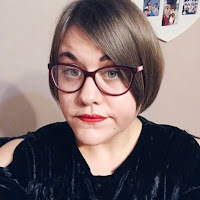 As an avid reader and reviewer she blogs about all genres at Books with Bunny, but particularly loves a heart-wrenching romance with a happily ever after. Katey lives in Sheffield, South Yorkshire with her husband David, son Zachary and a streetwise moggie called Clarence.